At least 58 people were killed and hundreds were wounded in a shooting at an outdoor concert in Las Vegas on Sunday. The police have identified the gunman as Stephen Craig Paddock, 64. ■ Paddock was found dead on the 32nd floor of the Mandalay Bay Resort and Casino, police said, and authorities believe he killed himself. ■ At least 10 guns were found in Paddock’s hotel room, including several rifles. He also had two accessories called “bump stocks” that could have allowed his semi-automatic rifles to fire rapidly and continuously, as if they were fully automatic weapons, officials said. ■ Paddock had set up cameras inside and outside the hotel room to see if anyone was coming to take him into custody, an official said Tuesday. Stephen Paddock and his companion drew little attention to themselves, relatives and neighbors said. ■ Paddock transferred $100,000 to the Philippines in the days before the shooting, a U.S. official not authorized to speak publicly said. Investigators are still trying to trace that money, the official said. ■ Paddock was a resident of Mesquite, Nev., about 80 miles northeast of Las Vegas. Quinn Averett, a spokesman for the Mesquite police, said the department has had no previous contact with Paddock. ■ A retired man, Paddock often visited Las Vegas to gamble and take in concerts, his relatives said. Public records show he was a licensed pilot, who owned two planes. And he had a hunting license from Alaska. ■ He has been divorced at least twice, including marriages that ended in 1980 and 1990. One of the ex-wives lives in Southern California, where a large gathering of reporters congregated in her neighborhood. Los Angeles police Sgt. Cort Bishop said she did not want to speak with journalists. He relayed that the two had not been in contact for a long time and did not have children. 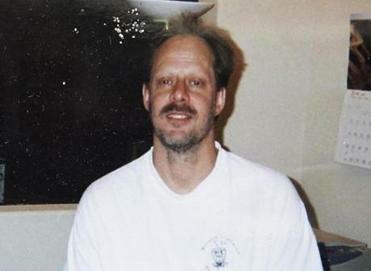 ■ Paddock’s brother, Eric, said Stephen was ‘‘not a normal guy’’ and frequently played high stakes video poker, adding that he once ‘‘texted me a picture that he won $40,000 on a slot machine.’’ Eric said he last had contact with his brother via text messages in September, and that Stephen being named as the shooting suspect was ‘‘like if an asteroid fell out of the sky.’’ He said his brother was a multimillionaire real-estate investor, and told the Orlando Sentinel: "We are completely dumbfounded. We can't understand what happened." 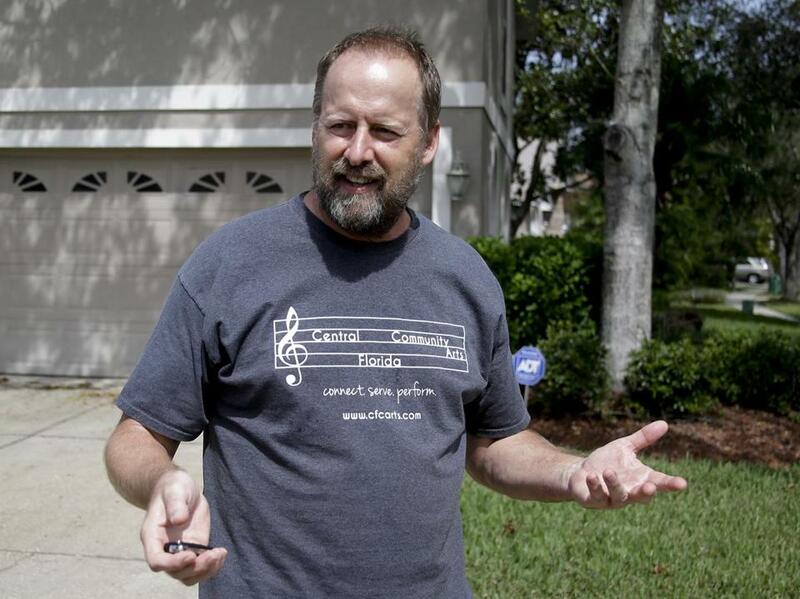 Eric Paddock, brother of Las Vegas gunman Stephen Paddock, spoke to reporters near his home in Orlando on Monday. 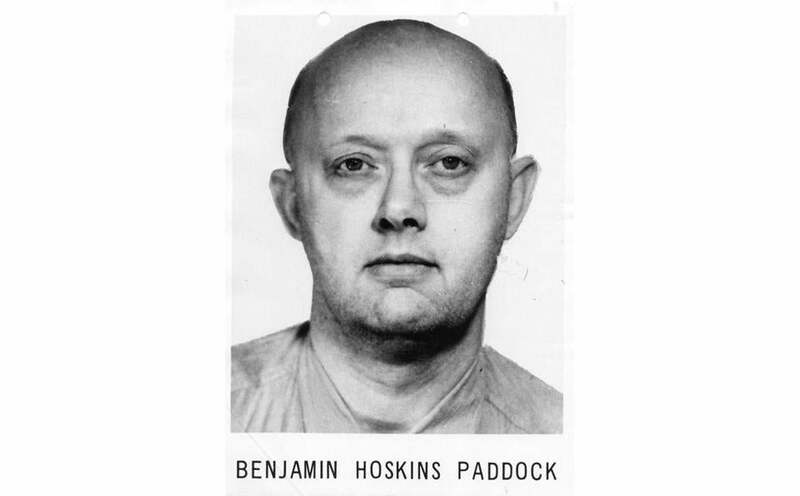 ■ Paddock’s father, Benjamin Hoskins Paddock, was a convicted bank robber and con man described in a wanted poster as ‘‘psychopathic’’ with suicidal tendencies. He had escaped from prison in 1969, earning him a spot on the FBI’s list of most-sought-after and dangerous criminals. According to news accounts, he was not captured until 1978, when he was nabbed while running a bingo parlor in Oregon. Benjamin Hoskins Paddock was once described in a wanted poster as “psychopathic’’ with suicidal tendencies. ■ Paddock owned a single-family home in a retirement community along the Nevada-Arizona border, Mesquite Police Chief Troy Tanner said. ■ Authorities searched Paddock’s home Monday morning, finding guns and ammunition, Averett said. ■ Paddock bought the one-story, three-bedroom home about 80 miles north of Las Vegas in 2015 for about $370,000, according to property records that list him as a single man. ■ Authorities in Texas say he lived in a Dallas suburb from 2009 to 2012. Public records indicate Paddock may have lived in Mesquite, Texas, for longer, but police Lieutenant Brian Parrish said his department’s review shows the approximately three-year period. ■ Paddock held additional property in northern Nevada that would be searched later Monday, Las Vegas police said. ■ He had worked as a letter carrier for the US Postal Service, an IRS agent, and in an auditing department over a 10-year period. A spokeswoman for the Office of Personnel Management said his employment included about two years as a mail carrier from 1976 to 1978. After that, he worked as an agent for the Internal Revenue Service for six years until 1984, then he worked a defense auditing job for about 18 months. ■He graduated from college in 1977 from Cal State Northridge and also worked for a defense contractor in the late 1980s. ■ Las Vegas police also had nothing more than a routine traffic violation on Paddock, according to Kevin McMahill, the department’s undersheriff. ■ A companion of Paddock’s was questioned by Las Vegas police but was not believed to have been involved in the shooting. ■ Neighbors of Paddock said he kept to himself, and was aggressively unfriendly and standoffish. ■ In a statement, Lockheed Martin, the defense giant, said that Paddock worked for them for three years in the 1980s. ■ The shooting began around 10:08 p.m. local time, police said. Authorities estimated that more than 500 people were transported to hospitals. There were more than 22,000 people at the concert. ■ The suspect’s motive is unclear.